Emily Blunt knows how to do Hollywood glamour like a true champ. The “Mary Poppins Returns” star is always one to look every inch a ladylike movie star, never failing to impress. For Sunday night’s Critics’ Choice Awards hairstylist to the stars Laini Reeves paired Blunt’s sparkling Prada gown and sophisticated makeup with some classic silver screen waves. Laini took to Instagram to share all of the TRESemmé products she used create this sleek and regal look. She also shared each step she performed on Emily to get her red carpet ready, and you can check them all out below. Start by parting clean, damp hair on the side and prepping with a dime-size amount of the new TRESemmé Thermal Creations Blow Dry Balm, combing through hair from roots to ends. Apply the TRESemmé TRES Two Extra Hold Mousse at roots and spritz the new TRESemmé Thermal Creations Blow Dry Accelerator Spray throughout hair and comb evenly to distribute. 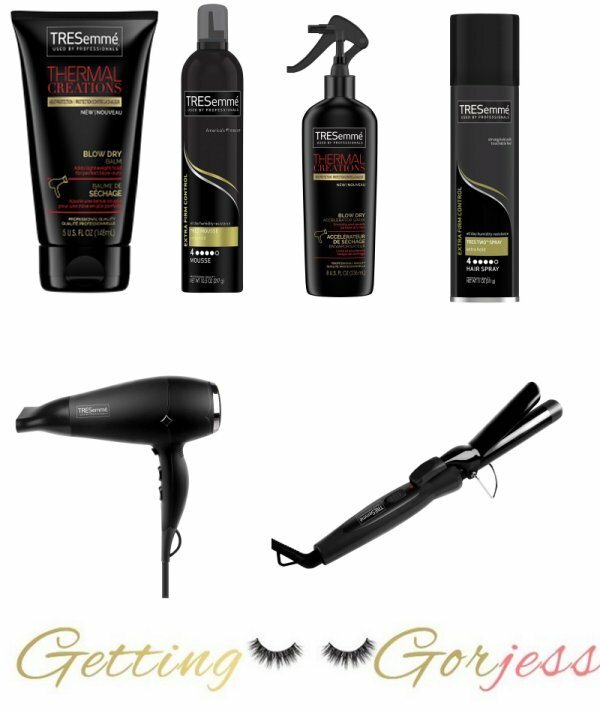 Blow dry hair smooth with the new TRESemmé Thermal Creations 1875 Watt Ultra Power Hair Dryer. Once hair is dry, separate out 2” sections starting at the crown. Curl loose hair with the new TRESemmé Thermal Creations 1”Ceramic Curling Iron, starting by the ear and keeping curls below the nape of the neck. Once all sections have been curled, brush out the curls to create a relaxed, loose wave. Finish by spraying the new TRESemmé TRES Two Unscented Extra Hold Hair Spray all over to set the look in place.